German minister Heiko Maas to Albanian politics: The EU is not just words, you must meet the conditions! Prime Minister Edi Rama held a conference with the German Foreign Minister Heiko Maas during his visit to Tirana. 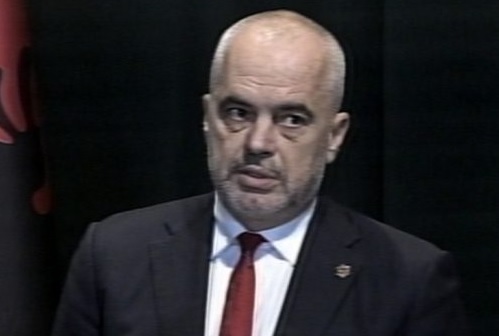 Rama thanked the minister and said that Germany has paid special attention to the membership of the Western Balkan countries in the EU. "Respect and gratitude for Germany's attention. We pay importance to the relationship with Germany and consider of historic value the commitment of the German government to initiate what is now known as the Berlin process. We are very grateful to the chancellor for the important role in supporting one of the major reforms such as justice reform. I am happy to point out that we have been and remain committed to maintaining a coherent line of foreign policy. I thank the German Minister for the visit and that he has chosen between Macedonia and Greece to spend lunch in Albania "- Rama said. In his statement, the German foreign minister was clear about the European perspective of Albania. "In June 2019, the EU decided to launch talks with Albania, but reforms need to be done. There is controversy or resistance to these processes that need to be overcomed in order to get the European perspective. Albania has the support of Germany. The European perspective is not just a question of whether you will continue to meet the conditions. The road to the EU will continue and for that you have our full support." "Everyone in the region and in Berlin knows of how important this is for the European perspective. It is important to continue on the road. You are an important partner for us. In June 2019, the EU decided to launch the talks, but reforms need to be done. ..." stated among other things the head of German diplomacy.